This is another in a series of articles that I wrote a long time ago and am in the process of posting on my web site. Much has been written about the rise and fall of the "serious amateur"
the demise of the last American made 35mm Kodaks in 1969. Germany and Japan in the 1950s. popular among the cost-conscious young professional photographers of the day. Germans began to catch on, it was pretty standard stuff in the US industry. 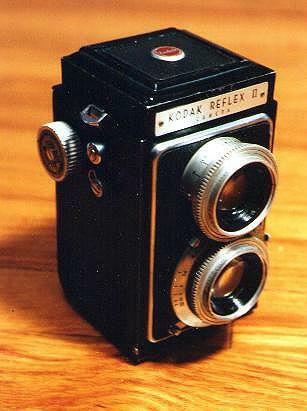 offered by Rolleiflex in 1954.
new), requiring the user to waste a frame of film in order to clear the mechanism. 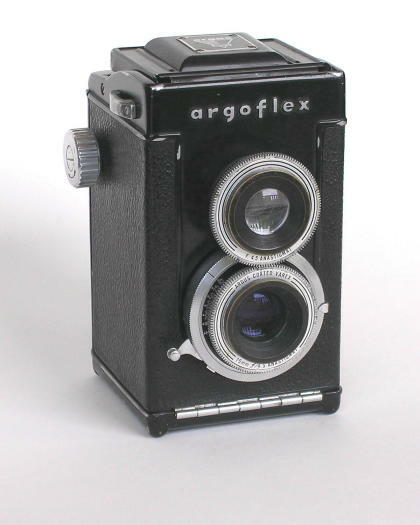 Argoflex. I suspect that few were deceived by the "Imitation Precision"
distinctly superior Ciro-Flex could be had for $69 – was atrocious. This Royce Reflex is part of an amazing collection of TLRs owned by Barry Toogood. but he has many other nationalities as well. later by the last Japanese TLRs, the Yashica-Mat and the Mamiya C series). But even that couldn’t last. In 1953 and 1954 the flood of Japanese TLRs began. 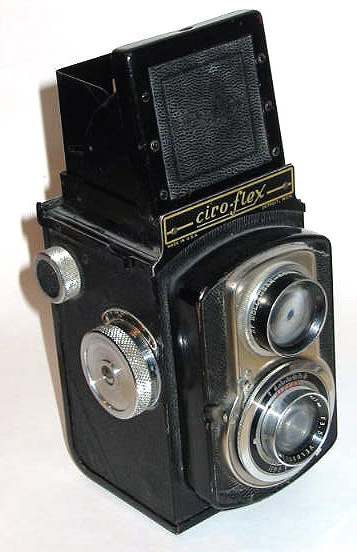 ironically the model most closely resembling the original Ciro-Flex A of 1940.
they abandoned the TLR completely. 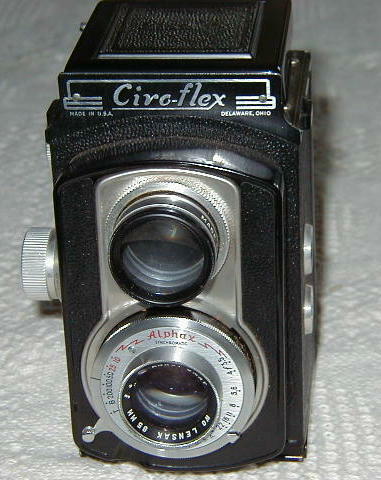 * Ciro-Flex A/B/D series also includes Graflex 22/200. 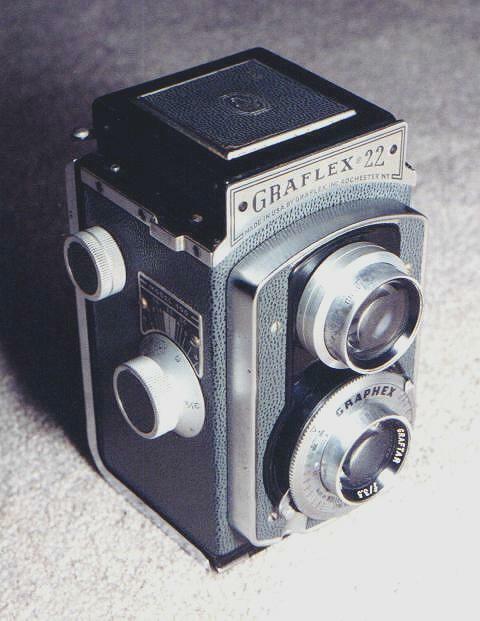 Ciro-Flex C/E series also includes Graflex 22/400. 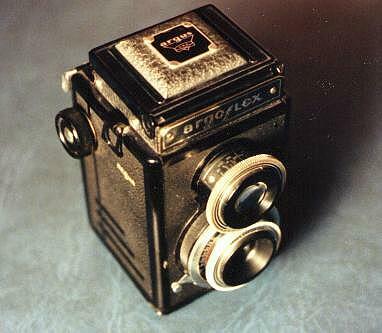 Ciro-Flex F also includes Graflex 22/400-F.
** Indicates camera with self-cocking shutter. 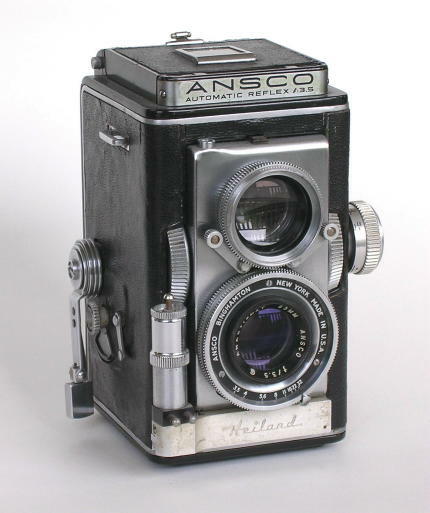 *** The focusing screen in the 1947 Ansco Automatic Reflex is unique and difficult to categorize. 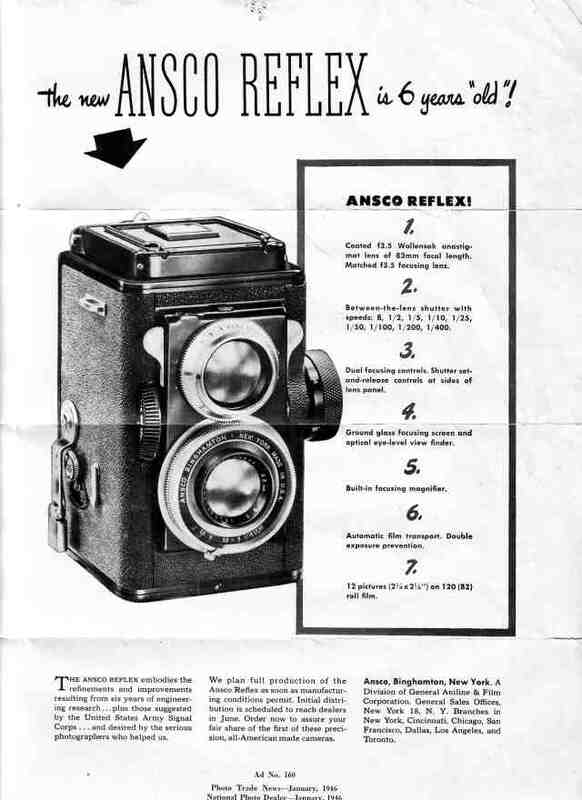 other Fresnel field lenses, in the Ansco the grooves are so fine that they are actually used as the focusing surface. The screen is bright to the edges, similar to a Fresnel screen. The grooved surface, however, is not ideal for critical focusing. It may be that the screen in my example was not original, or that the camera may have been built after the introduction of Fresnel field lenses in 1948.
and three in front, all air-spaced, with front-element focusing. - The Marvel-Flex was a derivative of the Ciro-Flex A, made for Sears Roebuck just before WWII. - The Wardflex was a derivative of the Argoflex E, made for Montgomery Ward just after WWII. 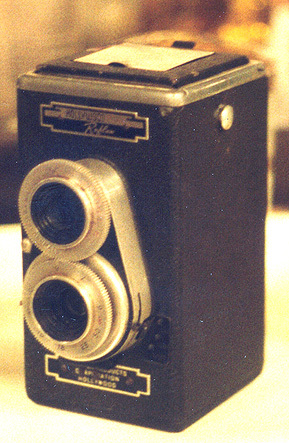 - The DeJur Reflex was a private label Ciro-Flex variant, similar to the Graflex 22, made in the early 1950s.